But which ones will be resurrected? Sega may be one of the gaming world's biggest third-party publishers but it was once a mover and shaker in the world of hardware and the first company to seriously challenge Nintendo for dominance of the living room. During the '80s and '90s the company produced a string of hits, including Streets of Rage, Sega Rally, Daytona USA, Panzer Dragoon, Clockwork Knight, Burning Rangers, Shining Force, Golden Axe, Shinobi, Phantasy Star and House of the Dead, to name just a handful. 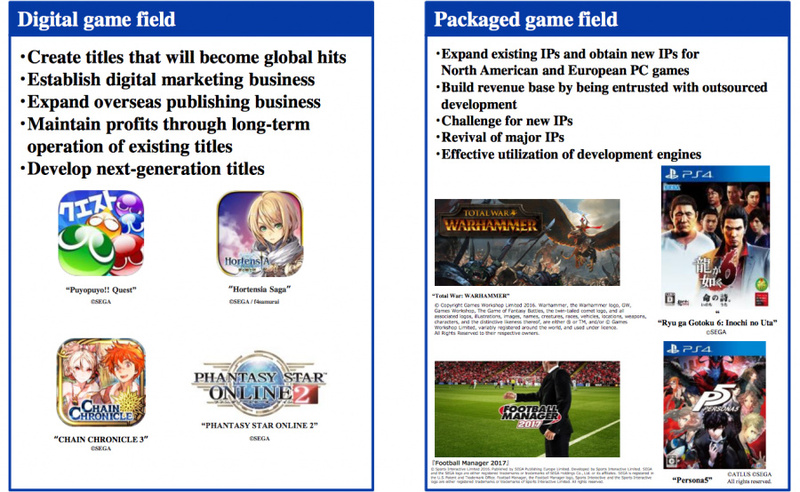 These days Sega's attention is focused on third-party publishing and it is in charge of bringing titles to a wide range of platforms, including PC and mobile. However, the Sega Sammy Holdings has just released its "Road to 2020" plans and has revealed that it intends to revive classic Sega IP to create new global smash hits. Sega hasn't been totally ignorant of its past glories; it recently released a new version of Daytona in arcades (to a lukewarm response, it should be noted) and revived Shinobi for the 3DS a few years ago. The company also continues to push Sonic as its mascot, and will release Sonic Mania and Sonic Forces this year. However, many Sega fans will be hoping that the company can take things to the next level and resurrect long-dormant properties like ESWAT, Dynamite Dux, Alex Kidd and much more besides. Which Sega franchises would you like to see given a new lease of life? Tell us by posting a comment. They've got such a rich back catalogue to choose from, but if I could pick from anything, I'd love to see Virtual On, Phantasy Star, Panzer Dragoon, Out Run, Daytona USA and House of the Dead make big comebacks. As much as I like Streets of Rage, it really is a product of its time. Unless they go full retro, I have a hard time picturing a modernized version that stays true to the original. I'd pick Jet Set Radio, Gunstar Heroes, House of the Dead and Shinobi. I would welcome a Shinobi game in the same vein of the modern Ninja Gaiden trilogy with open arms. I've been saying this for AGES.It's madness that they are sitting on so many classic IP's and doing nothing with them.Their peak was the 16 bit era yet how many IP from that period still receives games?I can only think of Sonic and now Puyo Puyo.I'd love for them to make official 16 bit style sequels for games like Streets of Rage,Ecco,Golden Axe.There's so many I could list.Then there is their incredible arcade games through to Dreamcast classics. Maybe if this becomes a big success for Sega,Capcom will follow suit. Alex Kidd, Phantasy Star, Golden Axe Warrior and After Burner, please. Panzer Dragoon is a no brainer. But tell that to Sega when they revive a game nobody wants. I didn't realise that this was a game that I am thoroughly missing. I want a new version for the Switch immediately. Perfect fit. Also, even if Valkyria Revolution doesn't do well, please don't give up on that series. Go back to the Chronicles style - VC 1 sold incredibly well when it was remade for steam and PS4, take that as the right sign. Please. When I think about Sega bringing back their old IP, it instantly brings back memories of that Golden Axe game on the Xbox 360/PS3. Such wastes opportunity. Space Harrier, OutRun, Shinobi (2D), The Ninja, Streets of Rage, Golden Axe....bring it on! I'd love to see Sega make new entries to Thunder Force and Herzog! Work with Nintendo to bring back F-Zero! This has me absolutely giddy. Phantasy Star, Jet Set Radio, Skies of Arcadia, Panzer Dragoon, and more now have a chance at life again. Nostalgia is powerful marketing, indeed! I'd love a new OutRun, especially on the Switch. It's been almost 15 years since the last arcade version. I'd also like a new House of the Dead, although that would be for the arcades. They can also bring back Fighting Vipers, Jet Set Radio, Sega GT, Quartet (one of my personal favorite games of all time), Shinobi, Space Harrier, Crazy Taxi (no more of that FTP stuff, a real sequel! ), Alien Syndrome, Altered Beast, Comix Zone, Virtua Tennis, Wing War, Virtua Racing, just so many games they can pull from the archives! Just take a look The Takeover on Steam and do that, but do it better, without the absurd difficulty. As much as I'd like more, pretty sure Phantasy Star Online 2 is still active in Japan. That wouldn't be a "revival" would it? Skies of Arcadia would be wonderful! Shining Force too. Streets of Rage, Super Monkey Ball, and Vector Man. @AlphaJaguar Don't think SEGA has the rights to those and they were by Technosoft but I'd love it as well. If you haven't heard of it, you should look into AirMech. I found it a bit buggy and problematic and the business model annoying, but it is based directly on Herzog Zwei and is like a modernized update. Updated versions of Shenmue and Skies of Arcadia on new systems, and an entirely new Jet Grind Radio would be wonderful. A modern port of Skies of Arcadia (or the GameCube game as a Virtual Console title) would make entirely too much sense.... And as such, seems likely it'll never happen. Golden Axe (2D), Alex Kidd (side scroller), Panzer Dragoon, Streets of Rage (side scroller), Micheal Jackson 2 Arcade (Sega owned? ), Outrun, Chase HQ 3. Typing of the dead 2 lol. Or, you know, they could have just localised that Yakuza 2 pack for Wii U all those years ago. I want to see a revival of Alex Kidd, and possibly see the day where he is reinstated as Sega's mascot. Sega has damaged Sonic's image beyond repair IMO. I'd like to see a new House of the Dead. House of the Dead Overkill for the Wii is one of my favs. New Streets of Rage would be great too. Don't forget that Toe Jam & Earl is also getting a revival from the original developers, though I'm not sure if Sega has a hand in that or not. Shining Force is the only one I know besides Sonic of course and it's not dead or dormant they just don't bring them over here so if this includes translating and releasing games worldwide they should definitely think about bringing over Shining Force. @MarcelRguez Streets of Rage could be perfect for small titles, over the top tongue in cheek 3D brawlers with a bit of cliché riddled paperthin plot that only surves as reason to why some people are beating up thugs. Give it a 2 or 4 player local and online co-op team up moves and some crunchy and meaty audio visual feedback and you got yourself a fun little romp that's worth 15 bucks or so. It's really sad to see Sega in the state it's in. Although I prefered the NES and SNES back in the day at home, but Sega abosolutely owned the arcades. I really think most of Sega's arcade games would translate well onto the Switch if they treated them properly. Vectorman, I have been waiting for Vectorman to come back for so long. I would have even bought the master chief looking vectorman 3 game. Sega superstar soccer. What a game. Loving the ideas mentioned above but would really like to try Shenmue HD if it came out. Panzer Dragoon and Phantasy Star. Would love a new Shining Force. Strategy RPG's are popular again and that franchise was brilliant. Golden Axe and Streets of Rage would be an awesome arcade double disc! I love these old games as much as anybody, but sometimes the past should remain buried. I don't trust modern Sega to treat these titles right. NIGHTS, for the love of all that's good. I'd love a new Shinobi and Burning Rangers. @aaronsullivan Sega acquired all of Technosoft's intellectual property. It was announced at the Tokyo Game Show of 2016. This doesn't look like it'll amount to much when it comes to Nintendo platforms, which is sad. Either way, I'd love to see a 3D platformer Alex Kidd game. I find it interesting that they list expanding IPs and creating new IPs specifically for PC gaming.....in the box listed as "packaged game" (for which PC has no such thing anymore) and shows a bunch of PS4 games. @aaronsullivan Herzog Zwei was by Technosoft, and Sega acquired all Technosoft's IP's last year. About time! They have so many great IP's that they have some nothing with! I love Sonic, but it's time to give some of their other IP's love again. Sadly, since most of them have been dormant for so long, most gamers now worth have no clue about these older IP's, and that will be a huge problem when releasing a new game. A port of the original Nights into Dreams for the Switch. Streets of Rage, Shinobi, House of the Dead, and Jet Set Radio!!! Sega make it happen! Oh Sega. I'm gonna need Golden Axe, Daytona, Shinobi, Streets of Rage, Panzer Dragoon, Out Run, Altered Beast, Space Harrier, Galaxy Force, Knights, After Burner, and Ecco, to all be reborn on Nintendo Switch. Do this, and the world will rejoice. It's great that they are doing this! I hope to see more games for Skies of Arcadia, Jet Set Radio, and Billy Hatcher in the future. I would cry tears of joy at a modern ESWAT similar to Vanquish on the ps360. Bring back Shinobi and MAKE VF6 and I'll just give SEGA my bank account info. Well Sega owns atlus now right? But I'll take pretty much anything. Love me some retro Sega. Bonanza Bros. - Co-op stealth game would be a great fit for the switch! Phantasy Star Online- the switch's library is heavy with competitive games, it could use a good co-op rpg. Honestly, I couldn't help but think 'does that maybe include F-Zero?' when I first heard of this, since they worked on F-Zero GX, and that series needs some good revival as well. They've got a whole bunch of series of their own too of course though, so really, whatever they'll be looking to revive, I'll keep an eye out for! to hell with anything else. Cmon Sega!! Move your butts!! And make sure you get all your consoles back in the VC service including Dreamcast!!! I'll hurl money at you guys!!! Let's go!! Jet Set Radio Future please. @aaronsullivan they now own those games in the thunder force series as I've been told! Being me on!! There's so many cool franchises from Sega's past that it could bring back--I hope its words aren't just hyperbole. I'm still surprised that Vectorman never came back. I thought that game was so rad in the mid-90s. It was a good, fast shooter that had 2 games in quick succession, and then nothing. (I haven't played it in 20 years, so it may be incredibly rough and terrible to play now, but I thought it was so cool when I was a kid). Sequels to both Skies of Arcadia and Nights journey of dreams please. @0upshroom7 Same here bro. This is the game that took my RPG/strategy virginity. I didn't know what I was in for when I started, but I was NOT disappointed when it ended. Now I replay it whenever I have the time and, for me, it still holds up. Proper 2D Streets of Rage and Golden Axe please! Wonder Boy would also be a good franchise to continue - look at how well-received Dragon's Trap was. Finally, if they could get Landstalker back, that honestly could be a fully-3D rival to Zelda. I would love to see another Jet Set/Grind Radio and/or Panzer Dragoon. A new NiGHTS on slightly better hardware and tighter controls would be a welcome sight as well. @TadpoleSHero Think a sequel's a bit late to be considering now as I'm sure many of the staff of the original are probably not even with SEGA now. @UK-Nintendo Ghouls & ghost and Strider are both Capcom, but I would be okay with them too! Am I the first person in 80 post to say Shining Force??? Where are all the Fire Emblem fans? Surely they would want Shining Force. I think Phantasy Star is screaming for a reboot. Any Sega racing game could be rebooted. I'll skip on Panzer Dragoon. They did this not too long ago and it was mediocre at best. The same is true about Nights. I love Streets of Rage but I'm having trouble picturing anything more then an HD remake. I wish the NFL didn't have a contract with EA Sports, that way we could get back to Sega making great football titles again. Total War (switch can do it!). Maybe start with Medieval 2. I also forgot about Virtual Fighter.....that could definitely have a go again. @dkxcalibur yeah my mistake but great games of my childhood. @MarcelRguez They could just release Streets of Rage Remake much like how they done Sonic Mania and other Taxman games. I'm for Landstalker, Gain Ground, Wonder Boy, Shenmue, Skies of Arcadia, Total War, Gunstar Heroes, Phantasy Star, Dynamite Headdy, Super Monkey Ball, Shinobi, Light Crusader, Alien Soldier, and F-Zero. A new streets of rage in a retro style would be great. An new ecco (I enjoyed the Dreamcast game quite a lot). Sakura Wars, Space Channel 5, Shinobi, Crazy Taxi, Super Monkey Ball, Billy Hatcher, and Chu Chu Rocket. That's probably too much to ask for, so I'll settle for any two of them. Virtua Fighter, Virtual On, Panzer Dragoon...Sega Rally...Rez. Forgotten Worlds would be cool. I'd like to see the Panzer Dragoon or Burning Rangers series being revived or somehow re-released in one way or another. An HD remaster of Daytona USA with online multiplayer would be sweet. A real Mega Man game would also be great but it's highly unlikely. I think a modernized version of Streets of Rage would look something like a River City Ransom Underground. And with that I'd tell Sega to BRING IT ON! I would love to somehow see an update to Gain Ground and I am surprised no one has said Ristar yet (maybe I missed it.). My boy really liked Ristar. Vectorman could see an update. Another one my son liked was Bug!. Bug! could be done so much better today. Burning Rangers too. It was Okay, but I always thought it felt clunky. But we like the idea and we loved the Sonic Racing Transformed level. There are just toooo many Sega classics to even attempt to make a list!! @YeshaYahu5417 That's Capcom, but then again I'm sure they said recently they would be relooking at old titles as well...I had many a good session with Forgotten Worlds on the Megadrive. @WiltonRoots You know what, that is right. I forgot Capcom made Forgotten Worlds... Cool game. But yeah those classic Sega games is long overdue. They have a long backlog of hits beyond Sonic..
How about just giving us the complete Shining Force 3 trilogy? You know, all 3 episodes? I don't expect the Platinum disc but at least Episode 1-3. Give us "Streets of Rage 4"...or even just an unmodified (aside from translation) version of "Streets of Rage 3" in the West. @ClassSonicSatAm About time someone mentioned SoRR. I want a new 2D Eternal Champions. That is all. Alien syndrome would be my choice...very tuff game but very addicting. @WiltonRoots finally someone mentioned virtual on! Would love a new game in that series. For the love of God give us Outrun and Shinobi in 2D Altered Beast, Golden Axe, Virtual On,Virtua Racing, a port of the new Daytona game. Gunstar Heroes, Crazy taxi, phantasy Star, Sega Rally, Thunder Force especiallyt as they now own all the IP'S, plus a ton more. One of the richest back catalogues completely ignored. @amishpyrate Kid Chameleon would be great, that was actually programmed by a friend of mine along with Sonic 2. @amishpyrate Man it was so good on the Dreamcast...never had it on the Saturn though sadly. The thing is now twin sticks are pretty much the norm, they could make it control really well. 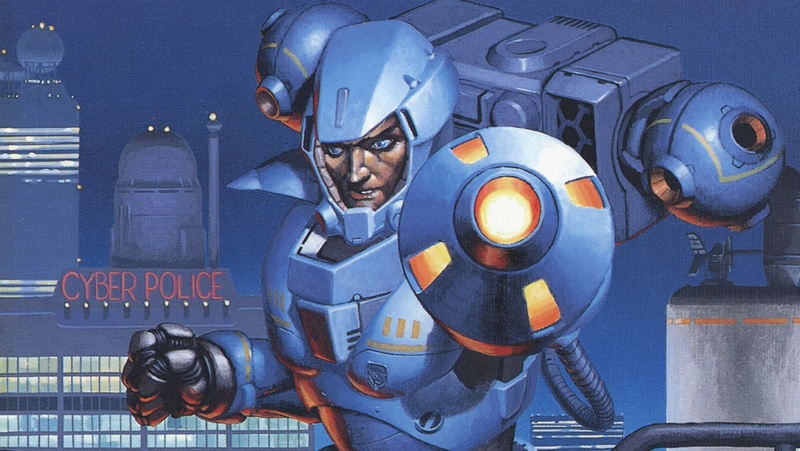 My top ten SEGA games I'd like to see resurrected. Dear Sega: Please stop ruining the Shining Force series. Probably a lot of your other serieses (s? ), too. But mostly that one. Thank you. @Angelic_Lapras_King It doesn't have to have the same development team - not all great sequels have the same group of people as the first game (look at the Fire Emblem series, the creator of which only worked on the first two or three games). I always imagined Skies as a series following the likes of FF, Dragon Quest, and Tales - using similar ideas and style (floating islands, traveling and battling by ship, your own base and crew) but having disconnected stories and characters. Following that route, I don't think it's at all out of the realm of possibility that a completely different team could do a great Skies game. I don't actually have any hopes for it happening at all, ever - SEGA doesn't seem to make good use of its RPG IPs - but I think that it's a shame it hasn't happened. Even going off of your idea, if a new team were to start with a full HD remake of Arcadia, and then move on to a sequel, I think that would be pretty great as well. And if they can get some of the great minds behind the first game involved (I'm pretty sure its creator is currently heavily involved in the Valkyria series - I know he was a driving force behind the first game), all the better. @antster1983 @joey302 @AlphaJaguar Thanks all for reminding me! I can't believe I forgot. I posted a bunch of stuff on the Nintendo Life store about SEGA acquiring the rights.